Logitech has shipped its billionth mouse – with the Swiss peripherals maker hitting the landmark figure as the mouse hits its 40th birthday. 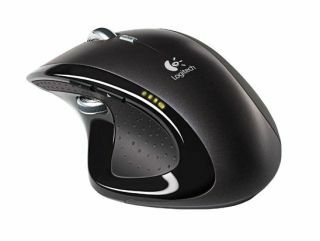 Logitech – which started in a farmhouse in the brilliantly named Apples in Switzerland in 1981 – has become one of the foremost mouse makers on the planet since launching its first retail model in 1985. The figure is even more remarkable considering it took Logitech 15 years to hit the 100 million mark and another six to hit 500 million. Now the company sells its wares in 100 countries and manufactures on average 376,000 mice a day, which equates to just under 8 million a month. "Since the first click of the Logitech P4 mouse in 1982, Logitech mice have played an indispensable role in the evolution of the personal computer," said Gerald P. Quindlen, Logitech's President and CEO. "During the last few decades, the way people use computers has changed dramatically - what was once strictly a business tool has become highly integrated into our personal lives. "Logitech has continually pursued innovations to meet those changing conditions, introducing - in the last five years alone - the world's first laser mouse, hyper-fast scrolling and the nano-receiver."